Who Loves Geno's GIANT Slice? If you've never tried our foot-long GIANT slice, then there’s a GIANT void in your pizza-loving heart. At Geno’s we provide more than smiles, we provide savings! 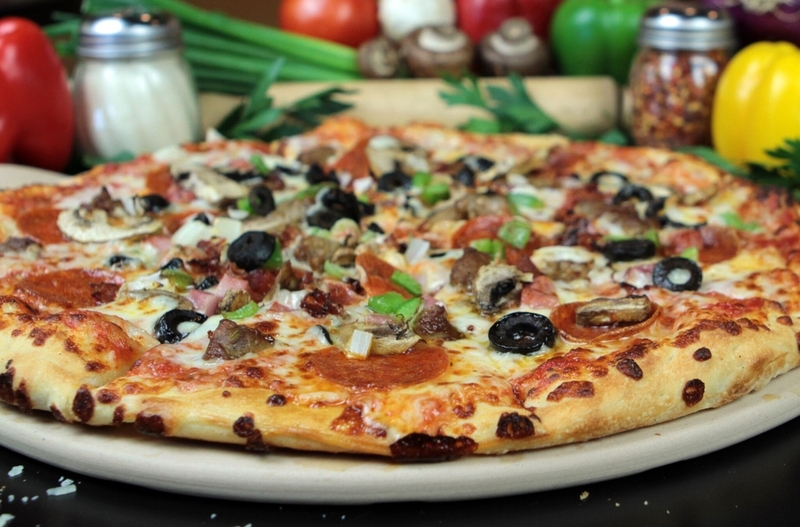 Our $7 Large pizza is a fan favorite, and puts all other $7 pizza joints to shame. But maybe it’s not about the money for you. Maybe you consider yourself a real pizza lover who craves a challenge. Well (A) we’ve got just the thing for you, and (B) Good Luck! It’s our 24” Pizza Challenge – Many will attempt it. Few will conquer it. At Geno’s GIANT Slice, we have everything you're looking for in a pizza shop – and then some! From our secret sub sauce to our freshly baked Cinna Stix, Geno’s fresh and assorted menu satisfies you. We don’t want you to “curb” your cravings we want you to cure them! Unlike other pizza places, we actually paid attention in ethic’s class back in college because every single ingredient that goes into our food is loaded with integrity. Whether it’s our artisan pizza dough, exceptional sauce, rich toppings, or our toasted sub bread, Geno's makes all meals, all day, from scratch.